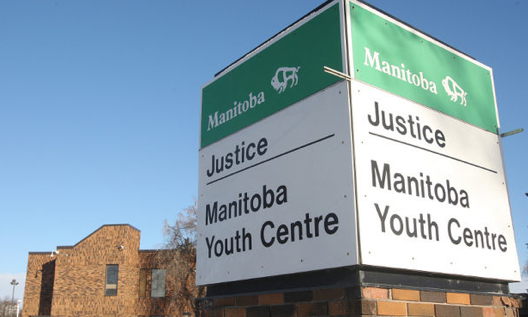 Last Thursday, I wrote about this girl (do read before continuing further) — who’s being held at the Manitoba Youth Centre because no suitable Child and Family Services placement can be found for her. This, despite the fact Canada’s youth justice laws prohibit young people being detained for child-welfare concerns. The girl isn’t an ordinary case. She requires a specialized placement because of her behavioural and other issues. Again, she’s just 13 and a permanent ward of CFS. A few readers contacted me via email and other means to express their concern and, in some cases, disgust, that this was happening. The case, as the previous post made clear, drew Judge Marvin Garfinkel’s ire, largely because it was clear the powers that be in the CFS or justice system were either unable or unwilling to follow a court’s order regarding her placement, one issued months ago. Her probation order specifically prohibits her from being placed in a hotel room by CFS or any other agency. But yet, one of the reasons she was back in custody at a jail is because she was placed in a hotel room after the probation order — a legal document setting out supervision requirements as determined by a judge, not CFS or the province — was issued. [More on this below. However, note carefully the bolded section of the Crown’s statement to the court]. Thursday, her regular lawyer isn’t in court, but an experienced associate of his is. Garfinkel, sitting again, is told the two advocates spent the afternoon Wednesday working on a motion which was prepped and ready to file — ostensibly trying to get the ‘provincial director’ to act — and more discussion with Crown. Also in court this day are a lawyer for the Island Lake CFS agency and a worker, and also a representative from Winnipeg’s B&L Resources for Children, Youth and Families. There’s still no placement for her, Garfinkel is told. Still, the Crown is ready to consent to her release. Garfinkel is told the agency has made attempts, but there is no placement — they are looking into a number of issues. But, there’s no grounds to keep her in custody as far as I’m concerned, her defence lawyer says. The lawyer for CFS then steps to the podium and fills the judge in on what’s now happening. Here’s the bulk of the exchange, verbatim. CFS Lawyer (CFS): The agency has been working quite a bit on trying to find a suitable placement for [girl] — obviously there’s some high needs involved here. Garfinkel: Is the child for whom there is an existing order of judge Harvie? CFS: Yes. I’ll just give Your Honour some more background. CFS: This was the matter where Judge Harvie ordered there was to be no placement in a hotel room. CFS: And you brought to [Lawyer’s] attention. Just so your honour knows the full story, [The defence lawyer] also spoke with … the provincial director yesterday, and brought this to his attention and he’s working to find a placement as well — he’s now aware that she’s not to be placed in a hotel. We also spoke with Corey La Berge from the Child Advocate’s office and [the office] has a worker assigned … and Mr. La Berge is making attempts to assist with a placement at well. [The worker] has thoroughly exhausted institutional placements. All of them advise that either they don’t have room or they’ll be able to meet her criteria. However, As indicated, there is a case manager here from B&L and a possible foster placement. I’ve been speaking with them this morning. It is anticipated a timeline of about a week to transition [the girl] to that home should that be a suitable placement. It sounds like a good plan is in place there. Of course, the issue we’re faced with today is [the girl’s] imminent release today. [Another person] has made some inquiries to [a program], which is also a placement — they advise they have a place available but they’re, as we speak, reviewing [the girl’s] application, which I should point out was actually made a couple of months ago and no response was ever received from them. So they are re-reviewing that to determine if that spot can be taken by [the girl]. And we are also waiting back to hear if any possible Places of Safety can possibly take her today. Obviously we don’t want her to remain in custody anymore than anybody else. At the same time, we want to make sure she has a suitable placement to go to. So that is where we are today. My hope is that we can find at least a temporary placement as soon as possible today so that she can then be transitioned into the other home. Garfinkel: OK. Thank you for your comments. Crown: With respect to the matter on the docket … it involves three counts from a date of Jan. 24th of this year [assault with weapon and two breaches]. The Crown will be entering a stay of proceedings. It’s because of what’s already been touched upon by my learned friend. The order of Judge Harvie specifically stated that a residence was supposed to be found and not a hotel placement. This incident occurred while [the girl] was a resident at [a downtown hotel]. After my read of the file yesterday, based on that fact alone, I decided that a stay of proceedings will be entered on that matter. And for that reason. They then proceed with a consent release hearing — she’s officially ordered freed on an undertaking. The undertaking says she must reside as directed by CFS but not be a hotel placement [but the probation order indicates it’s the provincial director’s responsibility]. Garfinkel: I want to thank you all for coming. Yesterday, we were a little disturbed by circumstances that existed. Quite candidly we didn’t have the information that we have now. And I think you have to remember that this facility is a criminal justice facility. It no longer is a place of shelter under the old Child Welfare Act and the Juvenile Delinquent’s Act. Parliament has made a clear-cut distinction between criminal proceedings and child-protection proceedings. Now, many times, the people involved have both child-protection issues and criminal justice issues. But we have to try and delineate what’s what and what’s what. In this instance, we have this young person accused of committing crimes. She is absolutely presumed to be innocent. She is not to be detained unless the Crown can show cause why detention is necessary. Moreover — she is bound by a probation order which requires her to reside in a certain place. That place is a positive with a negative attachment. Defence lawyer: The no-hotel clause came from a [forensic psychologist] as part of a forensic assessment. Garfinkel: I’m not arguing. Judge Harvie put it into the order. It’s a valid order until it’s repealed or reversed. It must be … if I — let’s say I wanted to do something silly, like say, ‘all of you are in contempt, you’re going to jail,’ – You go to jail. The Sheriff’s officers will physically take you there until the order has changed. Lawyer: I just want to make it clear to the agency that that’s not likely to change — even if it comes before a judge because it’s been recommended, it’s be ordered. ..
Garfinkel: It’s not recommended. It’s not a polite term. It’s not a recommendation — [bangs fist down] It’s an order. It’s terrible! (obviously referring to how the probation order hasn’t been obeyed). Lawyer: … I’m just saying if anybody thinks there’s going to be a variation to the probation order, everybody needs to keep in mind that there were very good reasons for Judge Harvie ordering that. And it’s not likely that she would change that is what I’m saying. So there you have it. For weeks, this girl has been languishing in jail, and suddenly, everyone’s now on board trying to find a solution. I can’t speak to what caused the dramatic turnaround in attention the girl’s case suddenly received, but it’s heartening to see. That said, it was clear her ethically and legally-questionable jail stint wasn’t likely coming to a quick end at the end of Thursday’s hearing. Efforts were being made, but no placement was available yet. Now, what I hadn’t realized when I wrote the original piece about this case was that she was in jail partly because of breaches and other charges stemming from an illegal placement in a hotel room taking place more than a month after Judge Harvie’s original order forbid the provincial director (and by virtue of the order, CFS) from placing her in a hotel. Nothing’s perfect in this world. I get it. And I suspect that the high needs of the girl’s case played a major role in CFS or the provincial director just trying to find her somewhere to stay in the interim. But the fact is, this case sends a number of concerning messages to the general public. Not least of those being: If the powers in place to enforce court orders can’t or won’t obey them for whatever reason, then how can we expect anyone else — like offenders — to follow them either? It’s a black mark on the administration of justice, in my view. The courts and offenders often wear blame directed at them from the public and the media when people placed on probation reoffend. I think it’s clear from this one small case that the blame may lie elsewhere, sometimes. And, more troubling: the above shows how for some of Manitoba’s roughly 10,000 kids in the care of the state, it’s not all that difficult to fall into black holes not of their making.